2013-14 PANINI TITANIUM TRUE ROOKIE JERSEY NUMBER Pick From List !!! 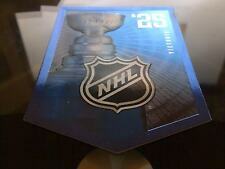 2013-14 National Treasures Silver Parallel #59 Bobby Hull 05/25 !! 2013-14 National Treasures Silver Parallel #47 Henrik Lundqvist 04/25 !! 2013-14 Dominion Auto Patch Autograph #AP-PD Pavel Datsyuk 17/99 !! 2011-12 Limited Trios Jersey #1 Claude Giroux Eric Lindros Bobby Clarke 47/99 !! 2011-12 Dominion Rookie Autograph Patch Horizontal #131 Peter Holland 01/74 !! 2013-14 TOTALLY CERTIFIED ROOKIE SLIDESHOW AUTOGRAPH MIKHAIL GRIGORENKO 19/20 !! 2011-12 DOMINION ROOKIE AUTOGRAPH PATCH EMERALD GREEN #142 DAVID SAVARD 5/5 !! 2010-11 CERTIFIED ROOKIE AUTOGRAPH JERSEY #192 JORDAN EBERLE 121/499 !! 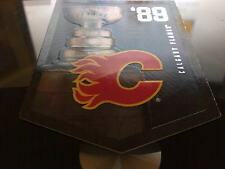 2013-14 National Treasures Numbers Patch #11 Mark Messier 07/11 !! 2013-14 Titanium #285 Nikita Kucherov /86 True Rookie Kucherov Young Guns RARE ! NIKITA KUCHEROV. 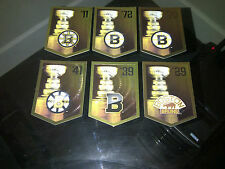 2013-14 PANINI TITANIUM HOCKEY. HE DOES NOT HAVE MANY ROOKIE CARDS AND THIS IS A HARD ONE TO FIND. SUPER RARE. 2013-14 Totally Certified Rookie Mirror Platinum Red #235 Jesper Fast 01/25 !! 2011-12 DOMINION ROOKIE PATCH AUTOGRAPH RPA #175 MATT FRATTIN 120/199 !! 2014-15 Anthology Bo Horvat Auto Patch /99 Sizeable Signature Panini 14/15 SP ! !